Sony Xperia Companion is a Software that allows you to connect your Sony Xperia Smartphone and tablets to the computer without the need of installing USB Drivers. It also allows you to keep your Xperia Smartphone and Tablets updated with the latest Android firmware. 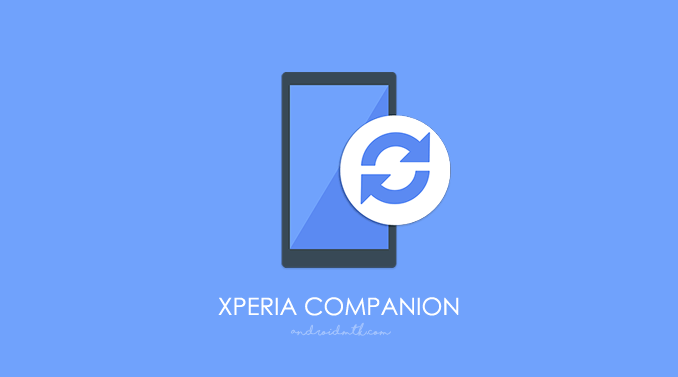 This feature allows you to quickly take a backup of your Xperia Device (including contacts, messages, calendar, media and apps) and save it on the computer. You can restore the backup on your device whenever you need to. This feature will help you to copy content (contacts, messages, calendar, media and more) from your old Android or iOS Device onto your new Xperia Device. It allows you to transfer photos, music and videos between your smartphone and the computer. Beside transferring contents from phone and computer, it also allows to browse your Xperia Device from the computer. This feature allows you to keep your Xperia Device updated with the latest version of Android OS. Simply Connect your device to the computer using the USB cable, and Xperia Companion will automatically detect your device and shows the available update. If you are getting any lag, or any system error or by mistake you have deleted any system app then using the Software Repair feature you can easily repair the device without deleting your personal data. [*] Sony Xperia Companion does not allows you to Sync your phone content to the computer. In case you are looking for Sync feature in then you will be disappointed. [*] Sony Xperia Stock Firmware: If you are looking for the original firmware for your device then head over to Download Sony Xperia Stock Firmware for all devices page. [*] Sony Xperia USB Driver: If you are looking for the original USB Driver for your device then head over to Download Sony Xperia USB Driver for all devices page. [*] Unlock Sony Xperia Bootloader: If you want to learn to unlock the bootloader of your Sony Xperia Device then head over to How to unlock Sony Xperia Bootloader Page. [*] Credits: Xperia Companion is officially created by Sony Mobility LLC. So Full credits goes to them for providing the application for free.